The name Pi Lo Chun (Bi Luo Chun, Bi Lu Chun) in Chinese means "Spring Green Snail". The name was given by the Emperor Kang Xi in the seventeenth or eighteenth century who felt the steeped tea looked like tiny green snails. 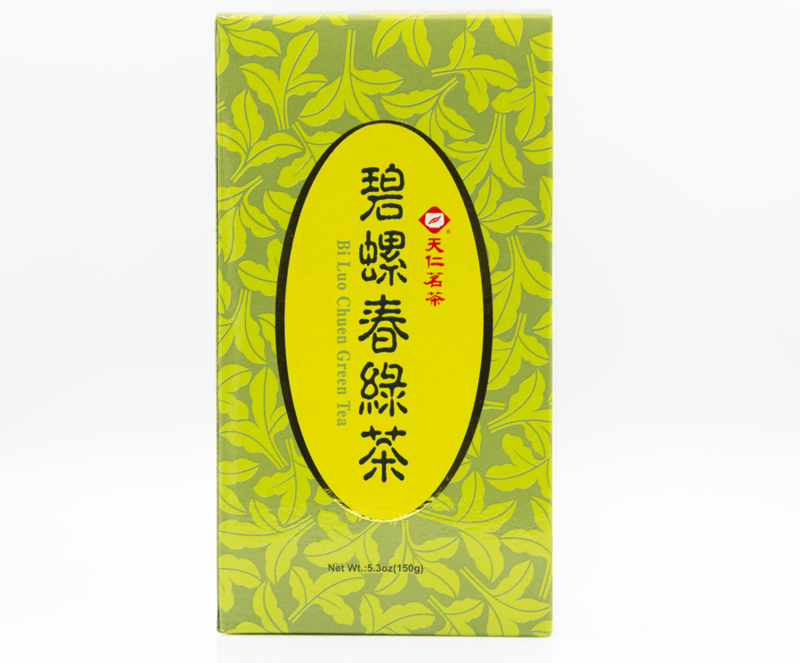 Pi Lo Chun is one of China's famous rare teas. Although it may be grown in China and Taiwan, it originated from two mountains in the west part of Dongting in Jiangsu province, China. Today, Dongting still produces the best quality Pi Lo Chun which TenRen makes available for its customers. Evaporating water from the lakes keeps the mountains covered with clouds and mist, ideal growing conditions for top quality Pi Lo Chun. Peach, plum, and apricot trees are planted between the tea bushes. The tea leaves absorb some of the fragrance from these fruit trees which helps gives Pi Lo Chun its special aroma and flavor. The tea leaves for Pi Lo Chun are only picked once a year during mid-March to mid-April when the leaves are at their peak. The tea is hand picked for just the leaf and its bud. 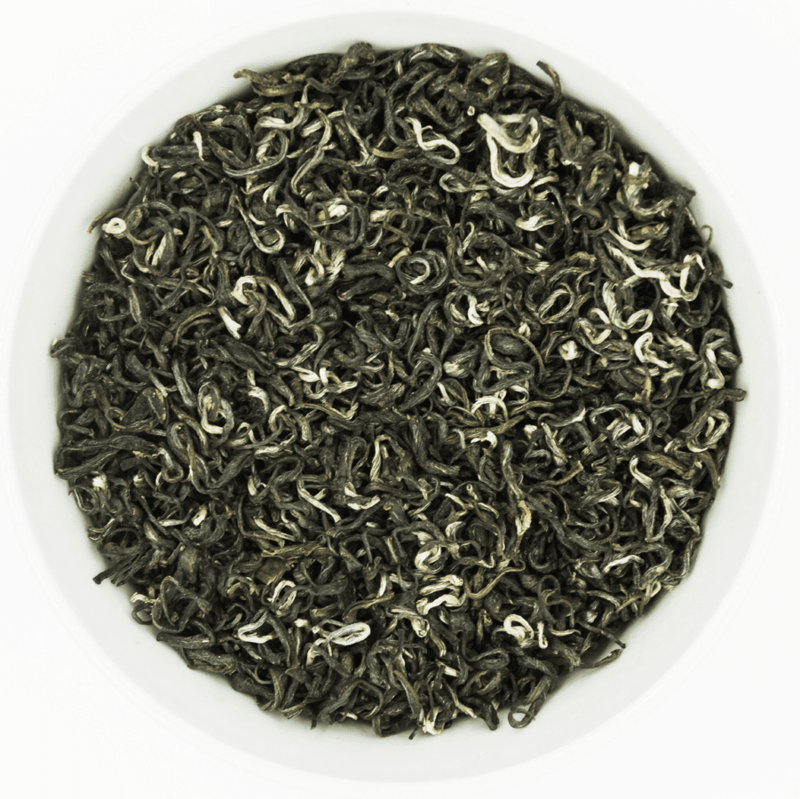 It takes 60,000 to 80,000 leaf-bud sets to produce one pound of finished Pi Lo Chun tea. 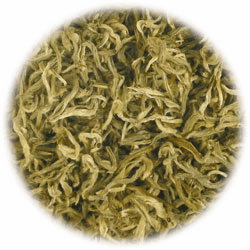 Due to the stringent selection process for high quality leaves, this tea is not widely available. 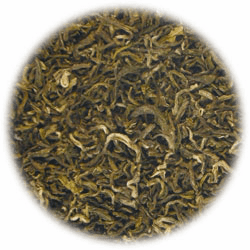 One of Pi Lo Chun's unique properties is that when infused, the tea leaves do not remain at the top of the water but slowly float down the cup like falling snowflakes. Many enjoy watching this effect as much as drinking Pi Lo Chun tea.